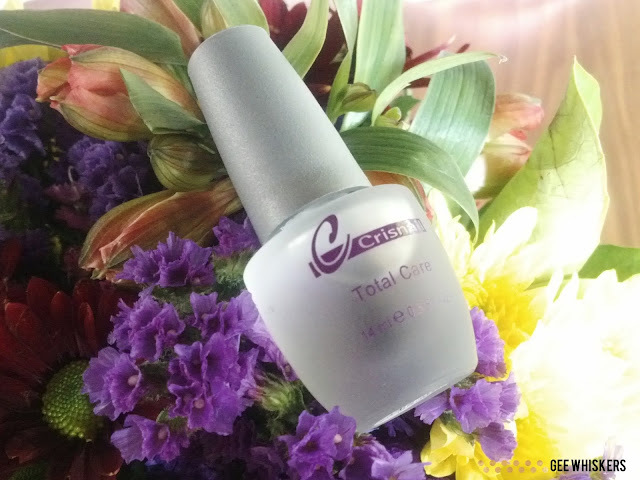 Manicure Monday | Crisnail Total Care / Gee Whiskers! I have really been battling with my nails lately, hence the lack of 'Manicure Monday' posts. Before I left for Copenhagen my nails started to peel and break, it is something I have struggled with ever since I first had an iron deficiency. My nails just don't seem to ever fully recover. Before we left for our trip I received a big bag of products to try out and immediately started using the Crisnail Total Care. Crisnails Total Care costs R110 for a 14ml. You can purchase the Crisnail products from Exclusive Beauty Solutions and Yemaya Express Nail Bars.